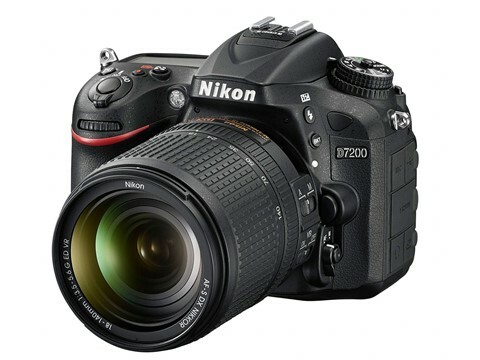 Nikon has just announced its latest DSLR: the D7200, an enthusiast-level DX body slated to replace the D7100. From a physical standpoint, the D7200 is nearly identical to the D7100. It is weather sealed, weighs in at just 675 grams, and boast a high-resolution 3.2" LCD. 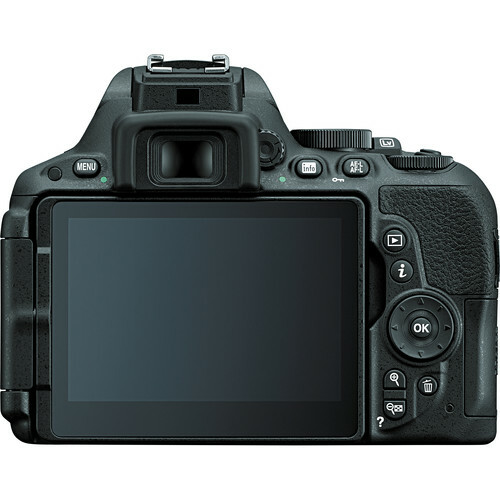 The full specifications are available in our camera database. The D7200 will start shipping in roughly two weeks. It is expected to arrive by March 19th in the US and it will retail for $1199.95. Nikon has just announced a real treat for astrophotographers: the new D810a is a special version of the acclaimed Nikon D810 with various optimizations for shooting the night sky. While not cheap at $3799 (USA), the D810a is the first FX-format DSLR designed for astrophotography. It will be interesting to see what it's capable of! The D810a is expected to ship in late May, 2015 and it will be on display at the upcoming CP+ 2015 trade show in Tokyo. Nikon USA has recently issue a service bulletin that acknowledges an unusual flare issue in the D750. If you've been affected by this problem, you can send the camera in for service and Nikon will repair it free of charge. On December 29, 2014, we announced that we were looking into measures to address the issue reported by some users, namely that when photographing scenes in which an extremely bright light source, such as the sun or high-intensity lighting, is positioned near the top edge of the frame, flare with an unnatural shape sometimes occurs in images captured with the D750 digital SLR camera. To correct this issue, Nikon will inspect and service, at no cost, the camera’s light-shielding components and adjust the AF sensor position. We plan to initiate this service at the end of January and will announce further details, including instructions for requesting servicing, shortly. Please direct inquiries regarding this matter to Nikon Customer Relations by phone at 1-800-Nikon US (1-800-645-6687), 9AM–8PM EST, Monday to Friday (closed certain holidays) or online here. We sincerely apologize for any inconvenience this issue may have caused, and ask for your continued patience and understanding. 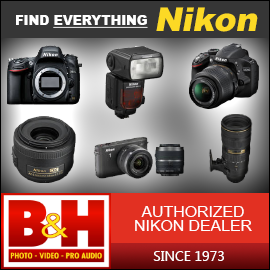 You can contact Nikon to request service via this page, or give them a call at 1-800-645-6687. Nikon announced three new products at this year's Consumer Electronics show, and there's a little something for everyone- unless you were expecting point and shoots! The new DSLR and lenses are all compelling, and it's evident that Nikon is aggressively pursuing passionate photographers in a rapidly-changing market. 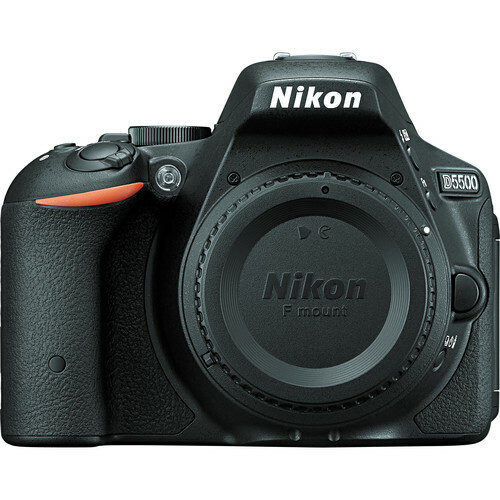 First up is a new upper entry-level DSLR, the D5500 (full specs here). This camera replaces the D5300 and combines advanced features with a beginner-friendly interface. At its heart is a 24-megapixel CMOS sensor and a 39-mount autofocus system. More importantly, this camera has both built-in Wi-Fi and a touchscreen: a first for Nikon. Including a touchscreen was a great move, as such features are slowly becoming the norm for younger generations of users. Compared to the D5300, the new D5500 is 12% lighter and not as deep (by a few millimeters). Its US launch price is $899 and it will start shipping in early February. 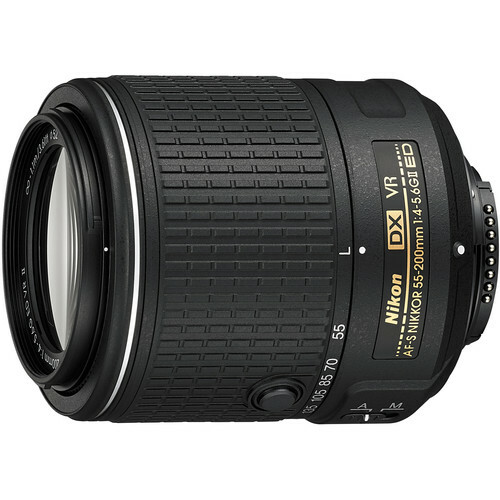 Next up we have a new telephoto kit lens: the AF-S DX NIKKOR 55-200mm F4-5.6G ED VR II (full specs). This is a redesigned collapsible version of the previous 55-200mm lens. It's 10% lighter and about 2 centimeters shorter when collapsed. We'll undoubtedly see it bundled in entry-level DSLR kits, but for now, it is only available for purchase separately for $349. 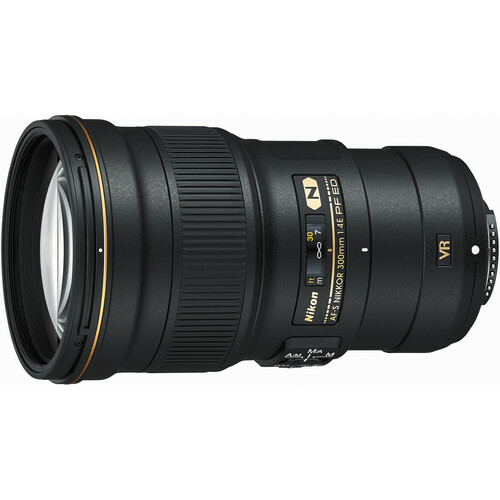 Finally, and most interestingly, we have a new pro telephoto lens: the AF-S NIKKOR 300mm F4E PF ED VR (full specs). This lens has just about every feature suffix you can think of: A/M, E, ED, IF, M/A, N, PF, SWM, SIC, and VR. But one of those suffixes is new: PF. This new 300mm lens is the first Nikon lens to ever feature a Phase Fresnel element, a special type of optical element that further helps reduce aberrations. It also enables a super-compact design, as the new 300mm weighs in at only 755 grams: the lightest such lens in the industry. To put things in perspective, this is about 100 grams less that the weight of the 70-200mm F4G Nikkor, and half the weight of the old 300mm F4D lens, which is 50% longer. Heck, it's even lighter than the Pentax DA* 300mm F4 lens, which was not an easy task. Half the weight comes at twice the price, though, as you'll have to shed $1999 to order this lens. This certainly isn't unreasonable for an innovative high-performance lens, but it doesn't change the fact that it's now up there with other premium lenses. 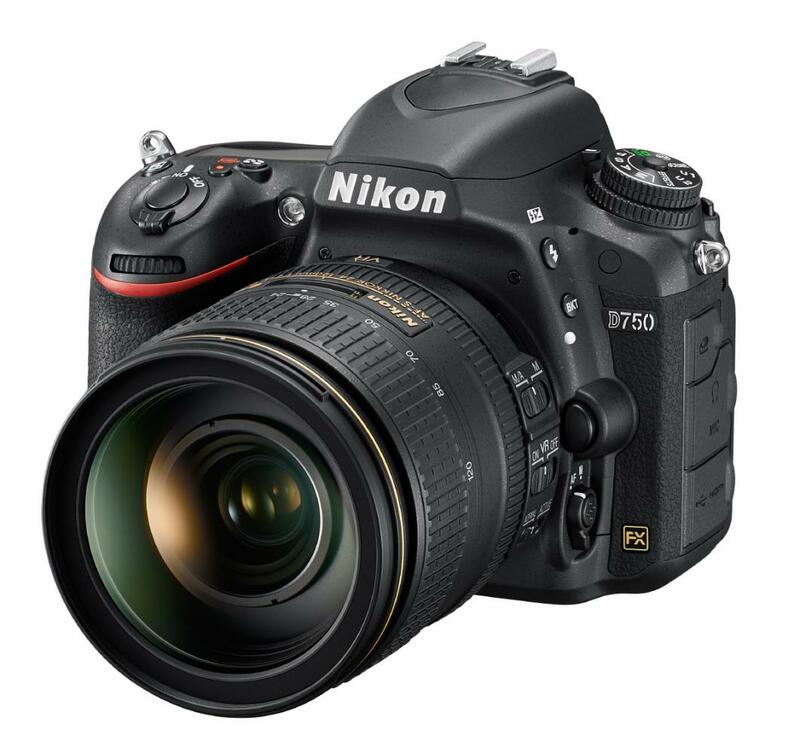 Nikon has just unveiled the D750, an advanced 24-megapixel FX-format DSLR positioned between the D610 and D810. We see it as a true D700 successor, as it has a more manageable sensor resolution than the D810 without most of the cost-reducing sacrifices from the D610. 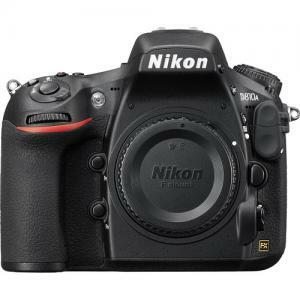 It also introduces a host of new features, such as a tilting screen, autofocus sensitivity to -3EV, and built-in wireless connectivity (all firsts in a Nikon FX DSLR). At the same time, it incorporates the EXPEED 4 processor, 51-point autofocus, and 91k-pixel metering system from the D4s flagship. The pricing of the D750 is very competitive: $2296.95 for the body only, which is $400 more than the D610 and a whopping $1000 less than the D810 based on the current US prices.